Amazing gizmos, gadgets, and apps tried and tested by BuzzFeed editors. 1. 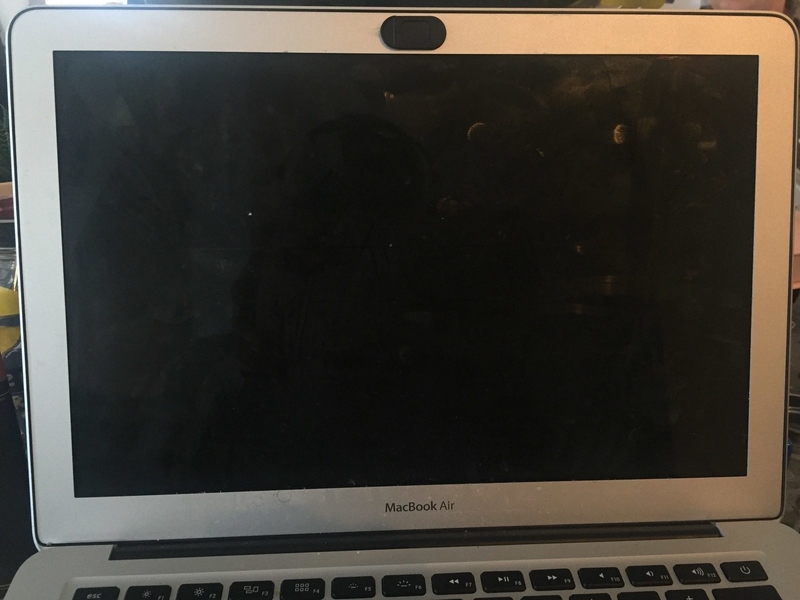 Sliding webcam covers that protect your privacy and give you peace of mind while you use your laptop, tablet, or other devices. Get a three-pack of covers similar to the Jietron ones above from Amazon for $14.95. 2. 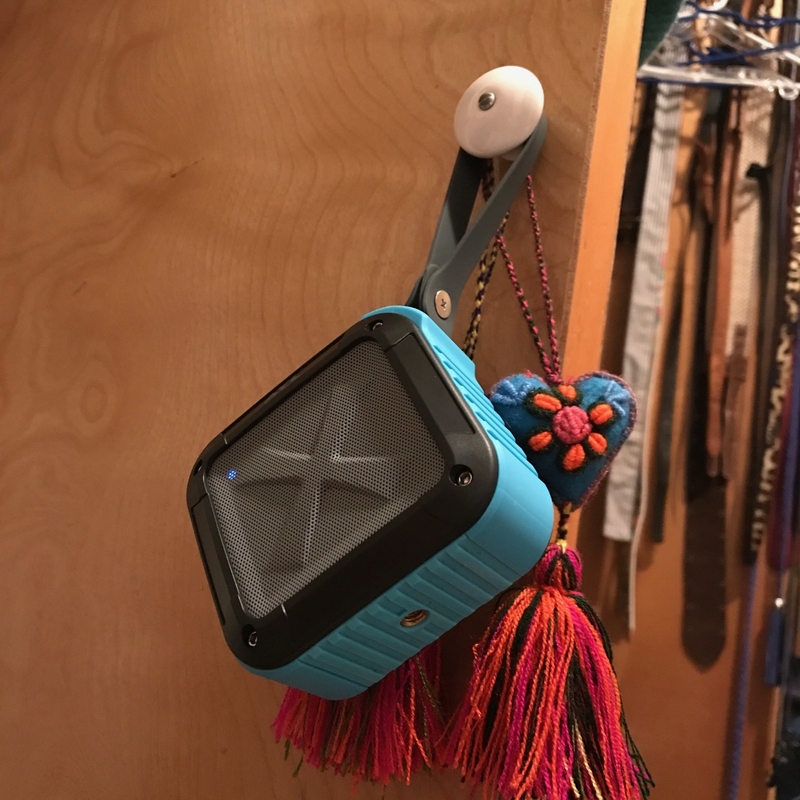 AYL’s Bluetooth speaker to transform your shower into the concert stage of your dreams — with no worries about water ruining your backing track. As I was going about my life recently, I thought about how supreme it would be to snuggle up in my ENO DoubleNest hammock while listening to some tunes. So I bought a portable Bluetooth speaker from Amazon. However, I no longer live in the wild forest of North Carolina, so I’ve mostly used the speaker for more ~urban things~. 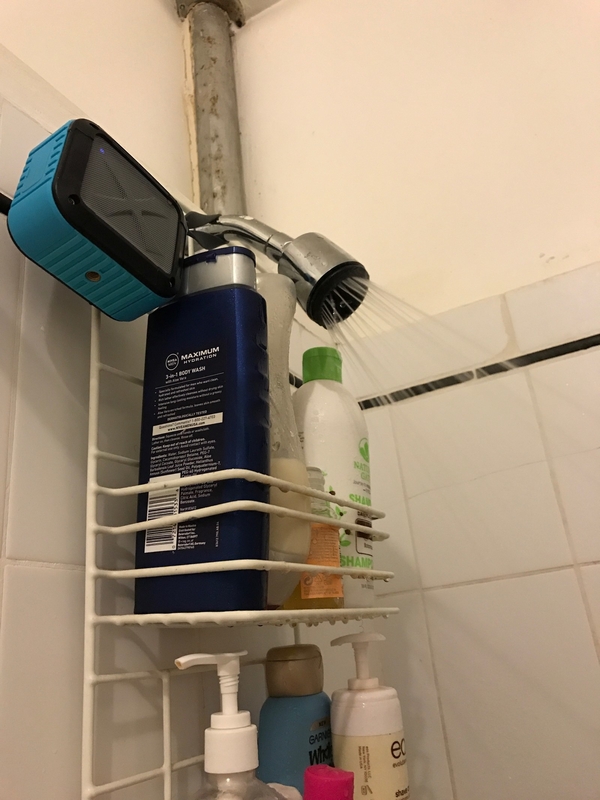 The speaker is water-resistant, which means I’ve been using it to listen to music in the shower. The strap is stretchy, so you can hang it around pretty much anything. And the buttons on the side of the speaker are big enough to increase the volume or pause songs with no problem, even when your hands are soapy! Get it from Amazon for $24.99 (available in three colors). 3. 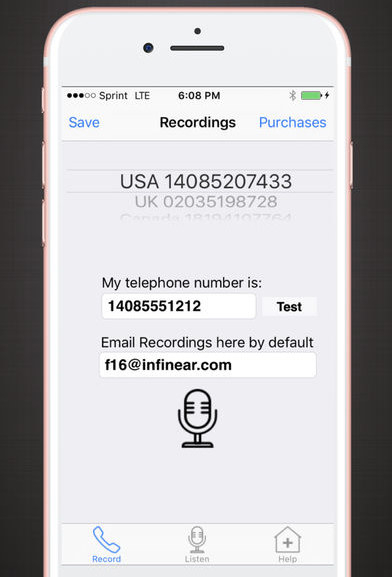 The Handsfree.ly app to record and store phone calls right on your phone, making for hassle-free interviews or anything else you need to record on your device. As most writers know, recording and transcribing phone interviews for stories can often be quite the headache. But when I came across the Handsfree.ly app years ago, I was ecstatic to find a tool that significantly reduced the drama associated with the process. The app uses three-way calling to record both incoming and outgoing calls through your phone. To record your call, you open the Handsfree.ly app and press the mic button on it, which will place an outgoing call. During that outgoing call, the app will give you a confirmation that it's ready to record. You then use your contacts or keypad to dial the number of the person you'll be interviewing. Once that second call connects, all you have to do is merge the two calls together and your call will be recorded until you press the end button. 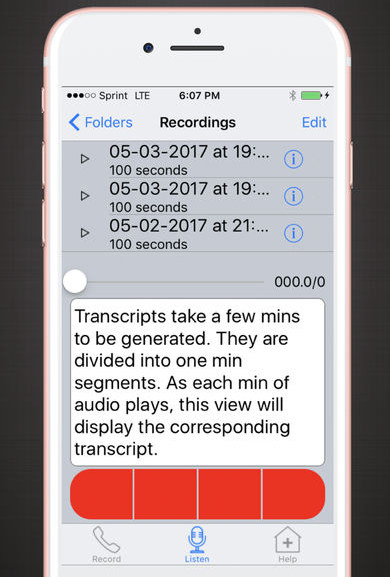 When your call is finished, your recording is automatically emailed to you, so you can begin transcribing. (It even offers a rough — and I mean extremely rough transcript — of the call.) There's also a test feature, so you can practice using the app before you have to record a call. Because there's nothing worse than finishing up an interview only to discover you recorded none of it! Get it from the iTunes App Store for $9.99 and Google Play for $2.99. 4. Skullcandy Ink’d wireless earbuds for saving you from wasting precious jam-session time untangling annoying headphone cords. I don't think I can ever go back to regular headphones after using my Bluetooth headphones from Skullcandy. I bought them after getting frustrated with being tangled up in headphone cords on the subway and while exercising. These wireless headphones are super lightweight and fold up into a third of their size — so you can carry them around in your pocket when you aren't using them. Get them from Amazon for $38.87+ (available in five colors) or Jet for $49.99. 5. LuMee’s light-up phone case to give your photos a warm glow — making for selfies even Kim Kardashian would be jealous of. Have you ever wanted to take a picture but then realized it was way too dark and no amount of iPhone brightening would fix it? Or (even worse!) have you been out with friends and attempted to take a picture with flash, only to blind several people and draw unnecessary and embarrassing attention to yourself? 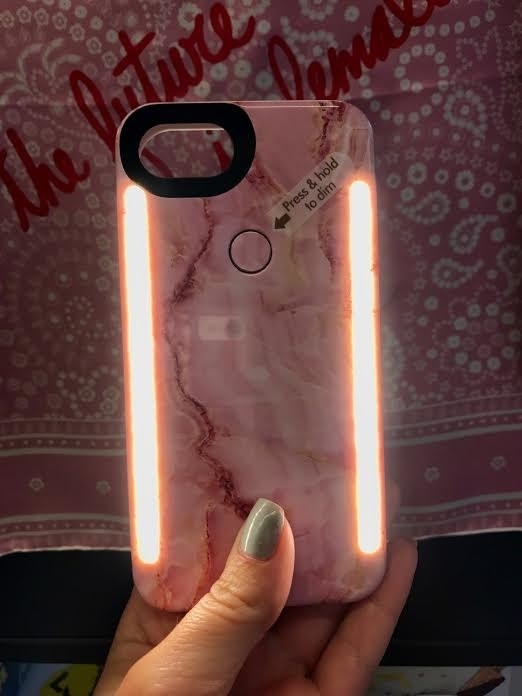 I’ve been in both of these situations, which is why I was so excited to try out this LuMee iPhone case. LuMee was created by a photographer to provide the best selfie lighting possible. It basically looks like your run-of-the-mill protective phone case — but on the back, there’s this discreet little button you press that allows a warm light to turn on. And if you keep your finger pressed on it, you can dim or brighten the light to adjust to your surroundings. Get it from Amazon for $47.99+ (available in four colors). 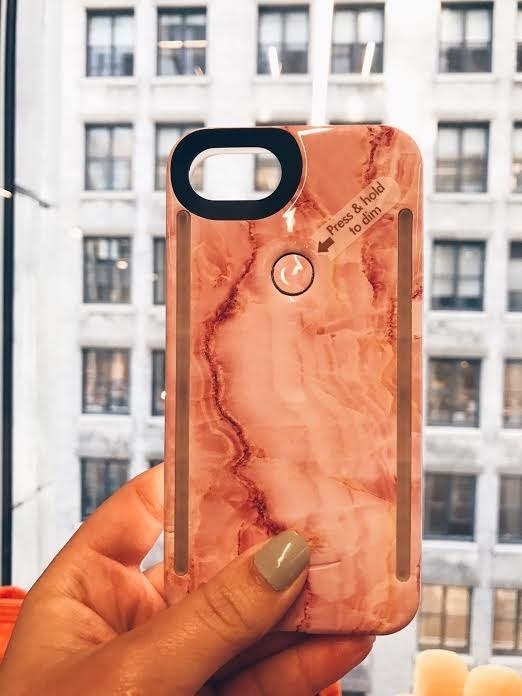 LuMee sent us the phone case to try free of charge, but we weren't obligated to positively review it. 6. The KiraKira+ app that'll bring glittery greatness to every damn photo you take, allowing you to give cosmic realness whenever you want. A very wise woman once said, “Shine bright like a diamond.” Easier said than done, I say, especially if you don’t own a ton of sequins. Nevertheless, I hold those words to be self-evident, because all sparkle is created equally mesmerizing. I mean, glitter is my favorite color. So when I started seeing people sparkling all over my Instagram feed, I had to know how! I too needed to be able to sparkle in ways that aren’t natural. I wanted to fool people into thinking my pores somehow radiated rainbow drops of light. But what was this magic all these bloggers were using? Get it from the iTunes App Store for $0.99. 7. TaoTronics earbuds with a noise-canceling design to relieve you — and your precious eardrums — from music blasted at the loudest volume level. 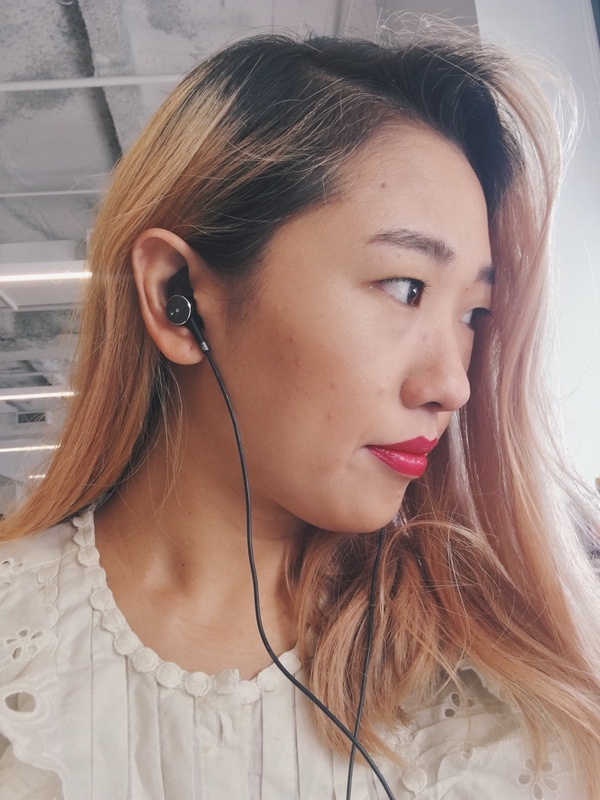 After my cheap-o Panasonic earbuds — which have gotten me through many years and are great for a mere $8! — lost yet another ear pad (and I always lose the extra ear pads too), I caved and decided to look into spending a little more $$. I also wanted noise-canceling earbuds, which obviously come at a higher price point. So I combed through Amazon and reviews on tech sites I never frequent otherwise, and finally landed on these TaoTronics noise-canceling bad boys. They have a snug but not too-tight fit — and not that I'm ever traveling at a pace faster than a brisk walk, but it's nice not having to constantly adjust my buds. Also, the ear pads seem like they're super secure and won't fall out when tossed around with other objects (again, lookin' at you, Panasonic). As a whole, they're obviously a tad bulkier and longer than my usual earbuds, but I can easily overlook that for the added value they bring. The most life-changing part about these headphones is that I can listen to the same songs at least two volume notches lower than I did before! It may not sound like much, but my eardrums are thankful. The noise-canceling feature works via a little, flat, rectangular box with an on/off switch. When I'm in a quieter environment, like home or work, I can usually just go without it. But I also went on vacation recently and took a total of four flights (the ultimate test), and I don't know how I ever took flights with normal earbuds! The noise cancellation isn't perfect (these aren't $200 or $300 buds, people), but these are a very smart choice for overall comfort and, you know, not having to subject my innocent ears to dangerously high volumes! Now, back to listening to the new BTS album on repeat. —Sarah Han. Get them from Amazon for $43.99. 8. 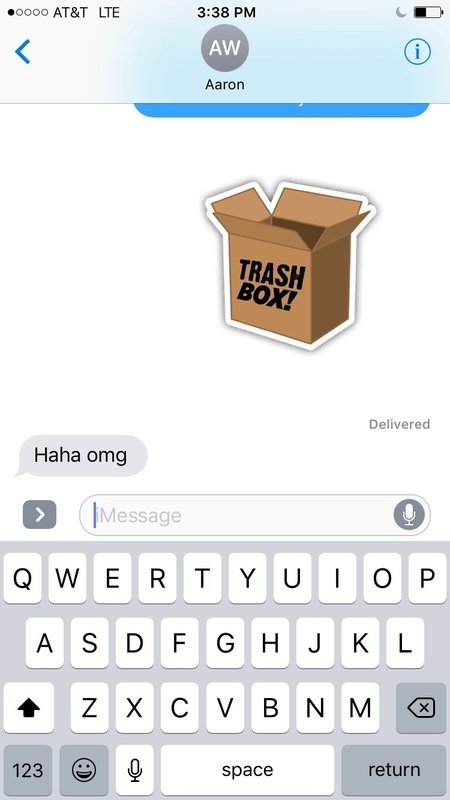 The Real Housewives Stickermojis for making your texts shadier than they have EVER been. Warn your friends now. 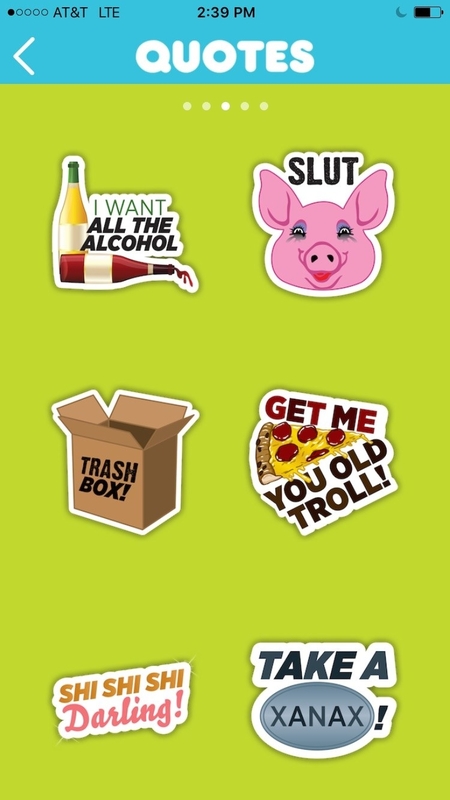 Get them from the iTunes App Store for free. These are just a few of our favorite tech things. Some products were provided to BuzzFeed free of charge.